Film trucks for Chiraq parked outside of Double Door in Wicker Park late Monday. DALEY CENTER — The legendary rock club Double Door could be forced to leave its longtime Milwaukee Avenue location after a judge on Thursday ruled against the club in its eviction battle with its landlord. Judge Orville Hambright Jr. brought the months-long legal battle to a close, saying he couldn't prove a lease extension was followed correctly. He ruled in favor of building owner Brian Strauss, who filed a suit in November of 2015 asking the courts to force an eviction after he said Double Door failed to properly enact an extension of its lease. Strauss has said he wants something else on the property, which is a valuable spot in Wicker Park. Despite the ruling, the club will stay in place at 1572 N. Milwaukee Ave. for some time. Hambright will rule in early August on when the club must leave, and the parties have until the eviction date to come to a new agreement so the club can stay. Though there is room for a future agreement, comments from the building owner signal that the club will need to find another home. Strauss said he has no interest in renewing the lease with Double Door. "It's come to an end," Strauss said following the ruling. "We wish them well." After the trial, William Dorsey, a lawyer for Strauss, said that Thursday's ruling "confirms what the Strauss family has maintained throughout this case, that the lease terminated on October 31, 2015 and that the space will be returned to the family shortly." 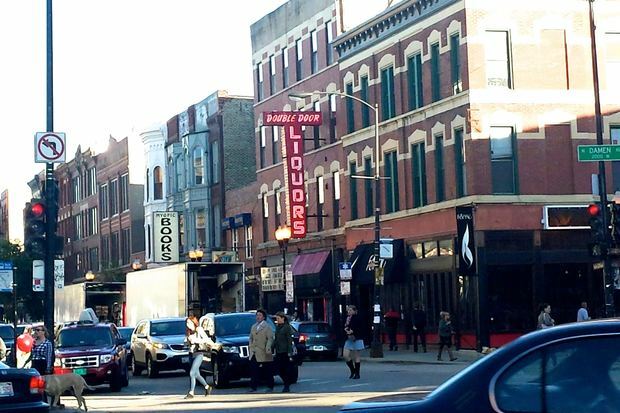 The verdict could have a major impact on the city's music scene as well as the Wicker Park neighborhood. Double Door has hosted a secret 2007 Rolling Stones show as well as been a sounding stage for indie legends like Sonic Youth. "If we're not around, it's going to make a big difference," said Sean Mulroney, who has co-owned Double Door at the Milwaukee Avenue spot since 1994. Though an agreement on a new lease for the club is still possible, Strauss and Mulroney differ on whether an deal can be made. Mulroney said the judge's decision was a "victory," even though he ruled in favor of the landlord. Mulroney said the decision will allow for the club to stay until early 2017, which is about half of the three-year-extension he said he wished to enact back in October 2015. "We're going to sit down and get a drink," Mulroney said. "There's a lot of time to work something out." After issuing his ruling, Hambright admonished the club and its landlord for bringing the case to his courtroom and implored the parties to work to find an agreement. "I would have much preferred if you all worked a deal out," Hambright said. "Don't dismiss it. Come to the table. Give a little, take a little." Strauss, however, said he wants to take his property in another direction, although he said he had no future plans for the building. "We're working on our future," he said. Strauss asked the club to leave his building after Mulroney failed to provide proper notice of his wishes to extend the lease, according to lawyers for Strauss. Mulroney disagreed and the parties took their fight to court. The judge set an Aug. 4 date to hammer out how long the club can stay. Double Door says it has concerts scheduled through at least February 2017. Attorneys for Strauss said the club's public calendar only lists shows through November and asked the judge to set a reasonable leave date. Strauss will also seek increased payments from now until the club leaves, saying Double Door was paying less than the market value for the area. Judge Hambright will also determine how much monthly payment the club will pay to its landlord. Late Thursday, Mulroney said that Hambright's decision "leaves the door wide open for an appeal" through appellate court. "That process will take a substantial amount of time and will in all likelihood exceed the lease option term. In other words, we are in no danger of leaving anytime soon," Mulroney said, adding "Double Door is never going to go away." Mulroney said he has been considering buying the building and would do so if a price set for it were reasonable. When asked what that amount would be, he declined to elaborate. Back in January, a deal to sell the 11,000-square-foot, four-story building at 1570-72 N. Milwaukee Ave. to a Downtown developer fell through. The loss of that possible sale, which was first revealed in county documents in December, put the 113-year-old building back on the market. At issue was whether Mulroney gave Strauss proper notification of his wish to enact a three-year extension on his lease that ended in October 2015. Despite the months of legal wrangling, Hambright said his decision came down to the lease extension issue and said he could not prove that Strauss ever received the renewal notice.